As emission standards for vehicles become increasingly demanding, car manufacturers are striving to make combustion engines more efficient. 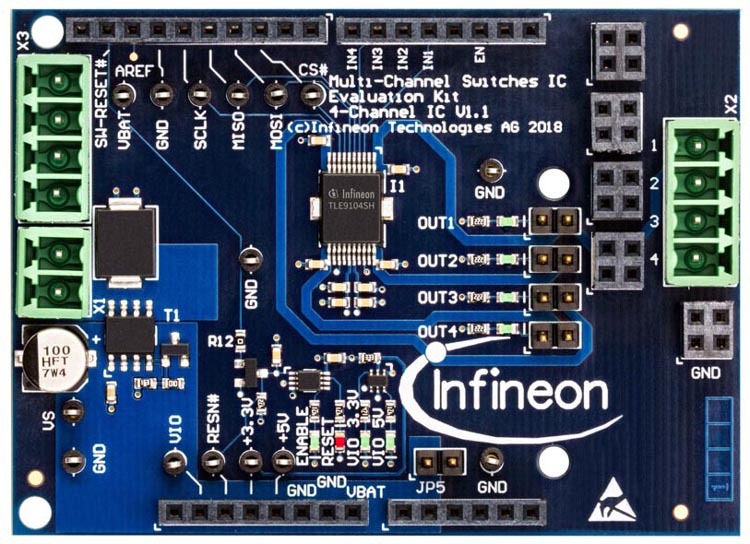 Infineon Technologies is launching a new member of its FLEX multichannel low-side switches family that will help reduce fuel consumption and thus CO2 emissions. The TLE9104SH is the first smart four-channel low-side switch for currents up to 5 A DC in 12 V systems. This allows controlling actuators such as high-precision port fuel injectors, high-energy valves or high-current relays in engine management, transmission control and battery management systems. Among comparable products on the market, the TLE9104SH is benchmark regarding current and energy capabilities as well as package footprint. With an RDS(on) of 300 mΩ at 150 °C, it comes in a new cost and size optimized DSO-20 package (PG-DSO-20-88) with a footprint area of about 80 mm2. 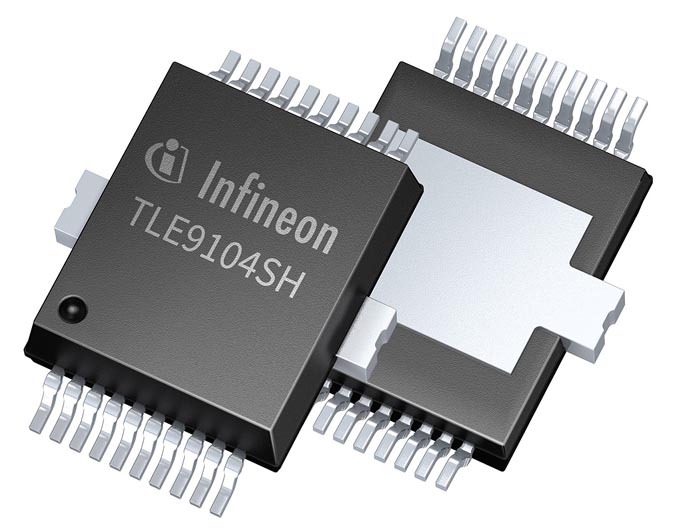 To support design activities, Infineon provides a development board with TLE9104SH in the Arduino form factor, which can be used in two kinds of evaluation setups. The TLE9104SH shield can easily be used either in combination with the XMC1100 Boot Kit (Version S) or in combination with the AURIX™ TC277 Evaluation Board (TriBoard) with the help of an additional Multichannel Connection PCB (Version L). The TLE9104SH is now available in the mass market. Samples can be ordered via Infineon distributors or online. Evaluation software, user manual, application notes and further information are available at www.infineon.com/flex. The evaluation board of TLE9104SH.